The U.S. Department of Health and Human Services is a department of the federal government that provides for health and human services for Americans to enhance their overall health and well-being. MentalHealth.gov, which is an online resource provided by the Department of Health and Human Services, provides information regarding mental health issues. The U.S. Department of Veteran Affairs , which provides healthcare to U.S. Veterans, has a mental health division that provides a variety of resources for veterans with substance abuse issues. The National Institute on Alcohol Abuse and Alcoholism (NIAAA) coordinates and funds research on alcohol use. The National Institute on Drug Abuse (NIDA) supports research and works to disseminate educational materials regarding drug use and treatment. The Office of National Drug Control Policy (ONDCP) coordinates community-based prevention programs, early intervention programs, and funding for research regarding drug use. It also works to expand access to substance abuse treatment through the Affordable Care Act and advises the President regarding drug-control and related funding issues. The U.S. Department of Transportation has promulgated guidelines and testing procedures to address drug and alcohol use in an effort to support its mission of creating safe transportation systems throughout the country. The National Highway Transportation Safety Administration works to put an end to impaired driving. The National Institute of Health’s U.S. National Library of Medicine contains information related to addiction treatment. The Substance Abuse and Mental Health Services Administration is an agency within the U.S. Department of Health and Human Services that disseminates information regarding substance use and mental disorders, services available to those suffering from substance abuse issues and/or mental disorders, and ongoing research regarding the same. The Center for Behavioral Health Statistics and Quality supports research into behavioral health. The Centers for Mental Health Services provides treatment for adults and children with mental disorders. The Center for Substance Abuse Prevention works to improve behavioral health through prevention. The Center for Substance Abuse Treatment works to provide community-based substance abuse treatment and recovery services. SAMHSA also has multiple programs and campaigns, including those listed below. A complete list of SAMHSA’s programs and campaigns may be found here. The Knowledge Application Program, which is one of SAMSHA’s programs, provides information to assist the professional development of behavioral health workers, including information and resources on best practices. The Medication-Assisted Treatment Program, one of SAMSHA’s programs, uses behavioral therapy and medications to treat substance abuse disorders. SAMSHA’s Center for the Application of Prevention Technologies provides training and technical assistance to those who work in the behavioral health field. The Screening, Brief Intervention, and Referral to Treatment program works to provide treatment and early intervention to those with substance abuse problems. This resource contains information regarding: Educational materials, Drug-use information/statistics, Gambling addiction information National Asian Pacific American Families Against Substance Abuse (NAPAFASA) is a non-profit organization that works to help Asian Americans and Pacific Islanders suffering from alcohol, tobacco, and other drug issues. This resource contains information regarding: Educational materials, Policy The National Association of Lesbian & Gay Addiction Professionals is a national organization committed to providing treatment to individuals in lesbian, gay, bisexual, transgender, and queer communities suffering from alcoholism, substance abuse, and other addictions. This resource contains information regarding: Treatment research, Educational materials, Drug-use information/statistics The Addiction Technology Transfer Center Network serves as a resource for addiction treatment professionals established by the Substance Abuse and Mental Health Services Administration (SAMHSA). Serving Maine, Vermont, New Hampshire, Massachusetts, Connecticut and Rhode Island. Serving New York, New Jersey, Puerto Rico and the US Virgin Islands. Serving Delaware, the District of Columbia, Maryland, Virginia, West Virginia, and Pennsylvania. Serving Alabama, Florida, Georgia, Kentucky, Mississippi, North Carolina, South Carolina, and Tennessee. Serving Illinois, Indiana, Ohio, Michigan, Minnesota, and Wisconsin. Serving Iowa, Kansas, Missouri, and Nebraska. Serving Texas, Louisiana, New Mexico, Oklahoma, and Arkansas. Serving Colorado, Montana, North Dakota, South Dakota, Utah, and Wyoming. Serving Oregon, Washington, Idaho and Alaska. Serving Arizona, California, Hawaii, Nevada, American Samoa, Commonwealth of the Northern Mariana Islands, Federated States of Micronesia, Guam, Republic of the Marshall Islands, and Republic of Palau. The National Frontier and Rural Addiction Technology Transfer Center provides technology services to rural and frontier areas. The National Hispanic and Latino Addiction Technology Transfer Center serves Hispanic and Latino communities. The National American Indian and Alaska Native Addiction Technology Transfer Center serves American Indian and Native Alaskan communities. The National Screening, Brief Intervention, and Referral to Treatment (SBIRT) Addiction Technology Transfer Center provides screening, intervention, and referral services. This resource contains information regarding: Treatment research, Educational materials, Policy, Drug-use information/statistics. The American Association for the Treatment of Opiod Dependence, Inc., is centered on increasing the use and availability of medication-assisted treatment for opiod addiction. The American Board of Addiction Medicine is a medical specialty board that certifies addiction medicine physicians across a range of medical specialties. American Counseling Association is a national association for professional counselors. American Mental Health Counselors Association is a national organization for clinical mental health counselors. The American Society of Addiction Medicine is a professional society comprised of addiction medicine physicians, clinicians, and professionals that aims to increase access and improve the quality of addiction treatment through education, research, and prevention. Faces & Voices of Recovery provides support and information to those in recovery from addiction to alcohol and/or other drugs and their families and communities. The Joint Commission on Accreditation of Healthcare Organizations (JCAHO) is a national not-for-profit organization that provides accreditation to health care organizations in a variety of fields, including behavioral health. The National Association for Children of Addiction works to raise public awareness and advocate for education and prevention services on behalf of children of alcoholics, as well as provides information regarding the affects of having an alcoholic parent on children. National Association of Drug Court Professionals is a non-profit group that advocates for treatment and judicial monitoring for drug-using offenders in the criminal justice system. The National Association of State Alcohol and Drug Abuse Directors, Inc. (NASADAD) is a private not-for-profit agency that supports the development of alcohol and drug abuse prevention and treatment programs and provides information to governmental agencies to aid the formation of policy. 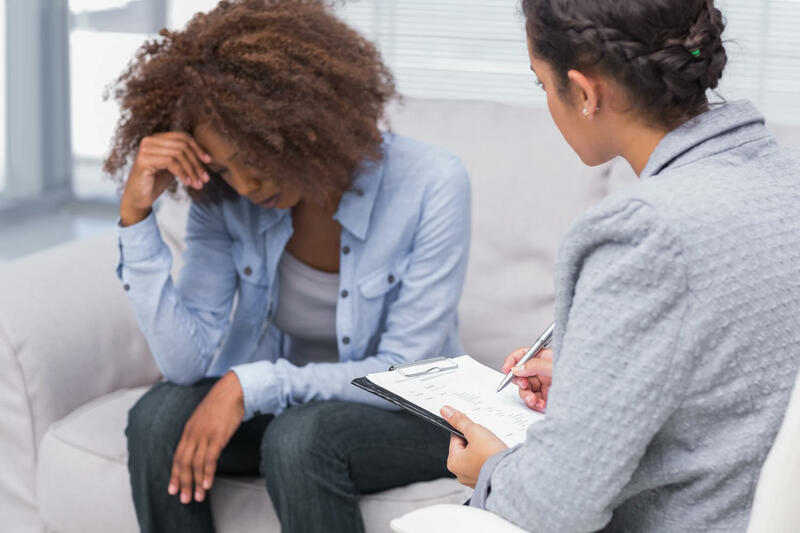 The National Council for Behavioral Health is a national organization that aims to ensure that Americans have access to mental health care, including treatment for addiction. Young People in Recovery is a national foundation that works to provide resources for young people struggling with addiction and to influence public policy. NAADAC page; affiliate page; Facebook page.